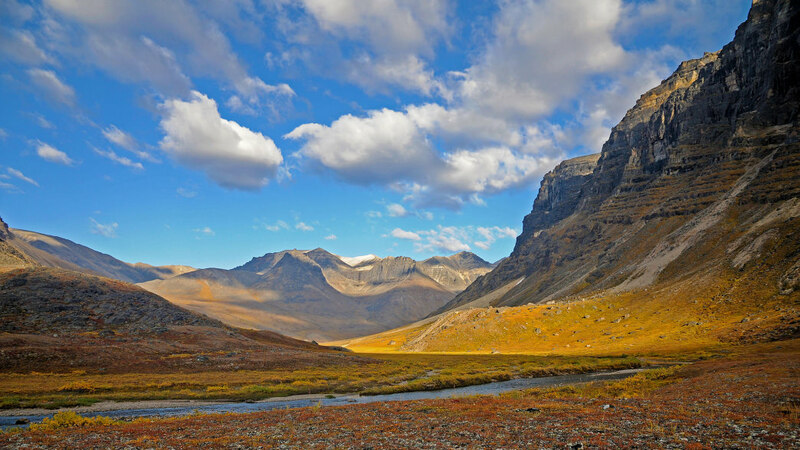 There are few places in the United States where visitors can go to truly get away from everything, and Gates of the Arctic National Park is one of those places. With no roads, trails, or campsites, it’s hard to believe that anyone has ever visited this park. With less than 11,000 visitors per year, it’s clear that not many people do. Perhaps it’s partially because people just haven’t heard of the park, which lies entirely in the Arctic Circle, but also because it’s not easy to get up there. Visitors must hire an air taxi or an outfitter to drop them off. It is possible to hike in, but it's very difficult. According to the NPS website: “Congress set this land aside as a trail-less wilderness area, specifically so that each visitor can find their own experience here... Also, we cannot effectively evaluate the skill-level of our visitors, and the fluctuating conditions of the area will have a great effect on the route chosen.” In short, you’re on your own. But for a seasoned outdoorsperson, that’s exactly what makes it so great. And if you aren’t convinced, take a look at some of the pictures. 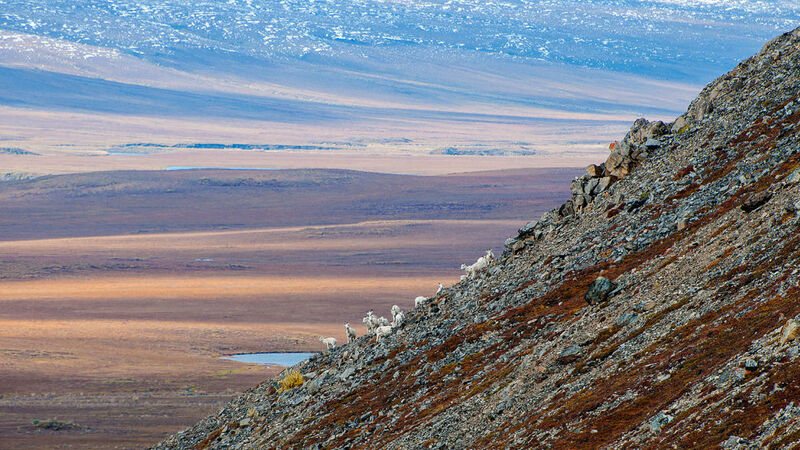 Though Gates of the Arctic seems to have escaped any and all human contact, thousands of archaeological sites show proof of nomadic people living in the area as early as 13,000 years ago. There are ten small communities near the park where descendants of the native Athapaskan and Inupiat live. The biggest of these communities is called Anaktuvuk Pass and is the only indigenous community located completely within an Alaska national park. It's also one of the main access points to the park, and many air taxis take off from here. The first non-native to explore the area was Robert Marshall in the early 1930s. 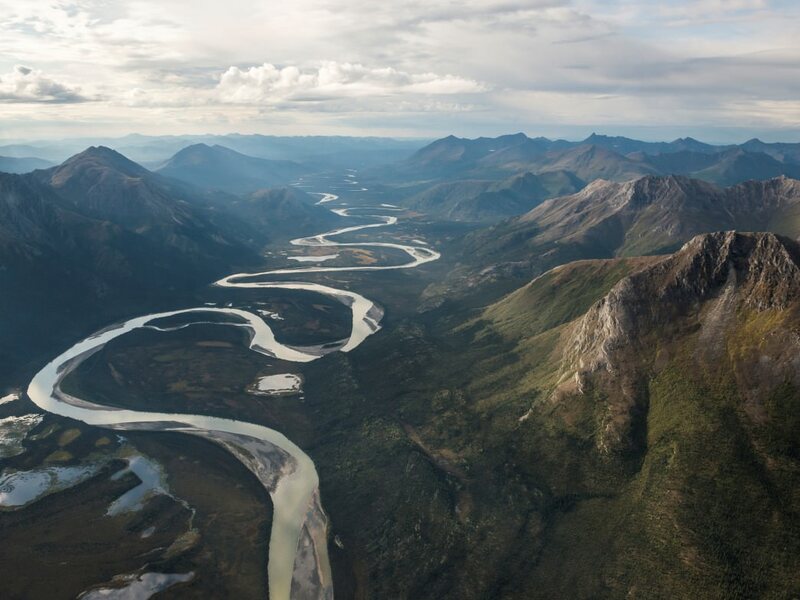 He came across Frigid Crags and Boreal Mountain, two peaks within the Brooks Range that straddled the North Fork, so he named the area the Gates of the Arctic. But it wasn’t until 1980 and the passage of the Alaska National Interest Lands Conservation Act that Gates of the Artic earned national park status. There is not much else (i.e. nothing else) to do here besides explore and camp, but that doesn't mean there isn't a ton to see - there are 8.4 million acres to explore. As mentioned above, there are no trails, there are no roads, and there is no help, so come prepared and get a good map. Also plan on going a littler slower than in the lower 48 - even the most experienced hiker isn’t going to get more than a few miles a day due to the rugged terrain, boggy ground, and regular stream and river crossings. The Gates of the Arctic is just west of Highway 11 (though there is a river between the road and the park) in the Brooks mountain range. 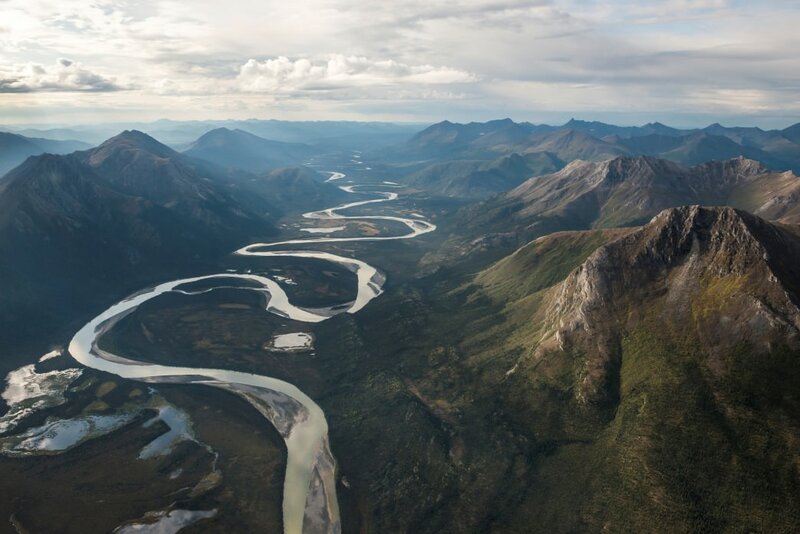 There are six National Wild and Scenic Rivers (Alatna, John, Kobuk, Noatak, North Fork Koyukuk, and Tinayguk) for visitors who might bring a kayak or canoe, and of course, peaks galore. There are black-spruce forests called taiga to venture through, as well as boreal forest with white spruce, aspen, and birch, and far north, along the spine of the Brooks Range, is the Arctic desert tundra. South of the Brooks Range is the Ambler-Chandalar Ridge, and farther south is the Kobuk-Selawik Lowlands, where the headwaters of the Kobuk River are found. 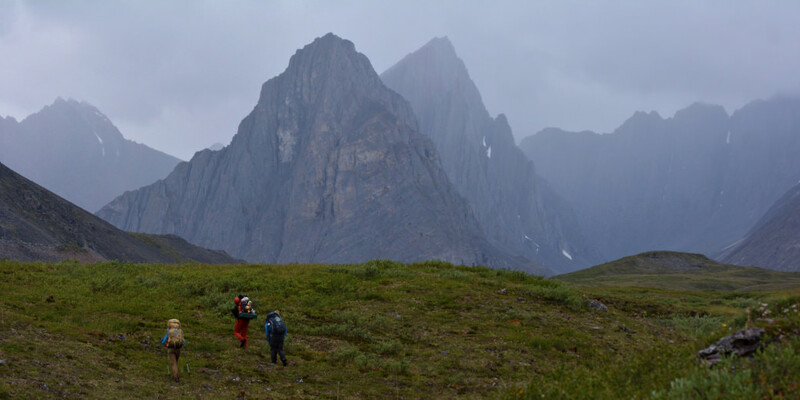 The Arrigetch Peaks, Mount Doonerak and Mount Igikpak areas are the most popular areas for technical ascents, and there may even be some rock climbing opportunities there as well. Fixed anchors are not allowed, so bring your own equipment and clean up afterwards. Because of its solitude, Gates of the Arctic is a wonderful place to view wildlife. 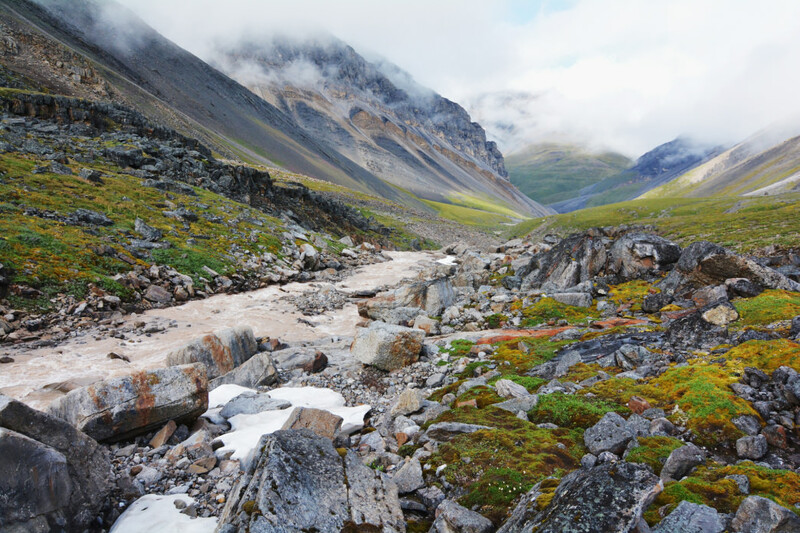 The park is home to Western Arctic Caribou Herd, the Central Arctic Herd, and the Teshepuk Herd, as well as Grizzly and black bear, wolf, moose, Dall's sheep, wolverine, muskox, and fox, and resident and migratory birds, too. The entire park itself is one of the best-kept secrets in the United States! But if you look hard enough, you can see evidence of the people who traveled through the area thousands of years ago. One way is to take a floatplane over to Agiak Lake, where you will find hundreds of rock cairns in the valley. Historically, these cairns were placed by Nunamiut Intuit hunters to guide caribou into the lake, where the massive mammals were then hunted down. Because of the effort required to get here, you will want to spend at least a couple nights in the backcountry. A fun way to explore the park is on land and on one of the scenic rivers, while spending a few nights along the shores in your tent. The area is a fragile ecosystem, so tread lightly and pack out anything that is brought in. The weather is very unpredictable here, so visitors have to be flexible with their plans. To get into the park, take a flight from Fairbanks to Bettles, Coldfoot, or Anaktuvuk Pass. From one of these places, hop on an air taxi or meet up with an outfitter. The best time to visit is in the summer, when the days are long (the sun doesn't set for a 30-day period!). Biting insects can be bad in June and July, and August can be wet and freezing by the middle of the month. Bring everything you need – there are no facilities, visitor centers, or cell phone service at the park. Be prepared to take care of yourself if something happens and take precautions by bringing navigational equipment and bear-resistant containers. Reach out to the Bettles Ranger Station before you go for information about how to get to the park and for suggestions about where to visit. 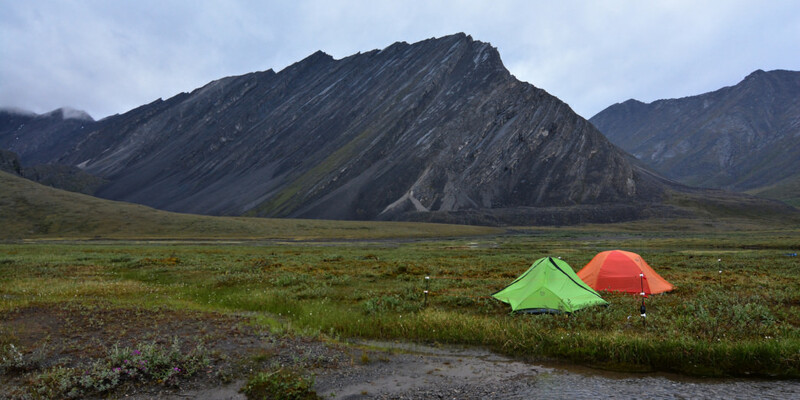 There is no entrance fee to get into Gates of the Arctic National Park, and no camping permits.